Vinnies is conducting a St Vincent de Paul customer survey. Go on, have your say. You know you want to. 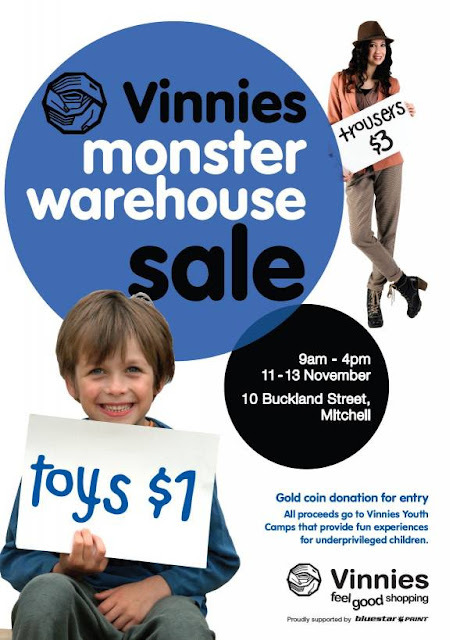 Vinnies NSW has a competition going - win a $500 voucher. and a styling session with Kelly Doust of The Crafty Minx. St Vincent de Paul shop on Hibberson Street, Gungahlin is closing at 5pm on Saturday 24 November. 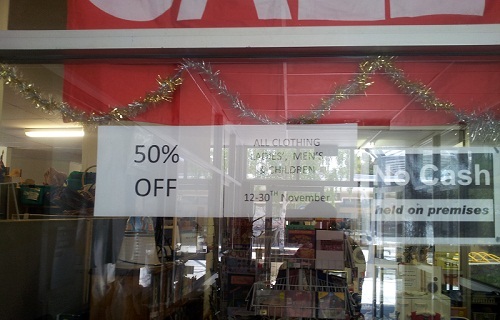 There is a closing down sale - all the second hand goods are now half price. We are told that the rent went up and the shop is no longer viable. Shame, really, because Gunghalin will now be without an op shop. So has anyone been to Hipsley Lane, Lifeline's vintage shop in Braddon? I've read some press but it isn't open the day I do most of my op-shopping. Would love to hear a report from our community. Another Chance at Scullen is have a 50% off all clothing sales until the 30th of November. Considering they are one of the best value op-shops in Canberra, 50% their clothing off is an even better saving. Not really op shopping but is second hand swapping - at a price. Get set for Summer with the Clothing Exchange Canberra! Join us for the last swap of the year. It’s been a long year, right? You deserve to snaz up your wardrobe! And just in time for Summer! 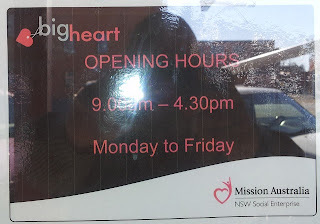 First op shop sighting, October 9, Vinnies Mittagong. Yes it is last year's poster, but we don't have a copy of this year's. Be assured that the sale is on Friday-Sunday at Mitchell. Hats off to the Shoalhaven shire. With summer approaching, some of our regular readers will be heading down the coast for the summer holidays. 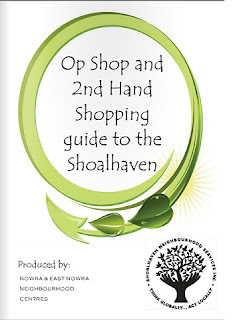 A couple of years ago, Taph and i found a copy of the Shoalhaven guide to op shops, but until we could find an online version, we didn't post about it. We, it is now online and can at the shoalhavenholidays.com.au site or at the link below. If only other shires could get this organised, it would make our searches for op shops so much simpler. 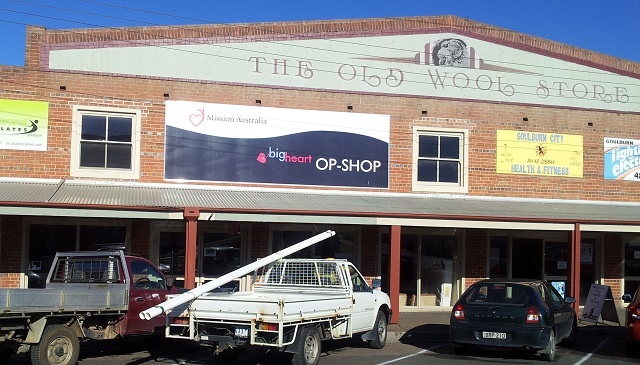 On a recent visit to Goulburn, Taph and I found another new op shop. We cannot say much about it apart from its there, as it is not open on weekends, and we are unable to get there on weekdays. If you are in Goulburn, pay it a visit and write a review for us.